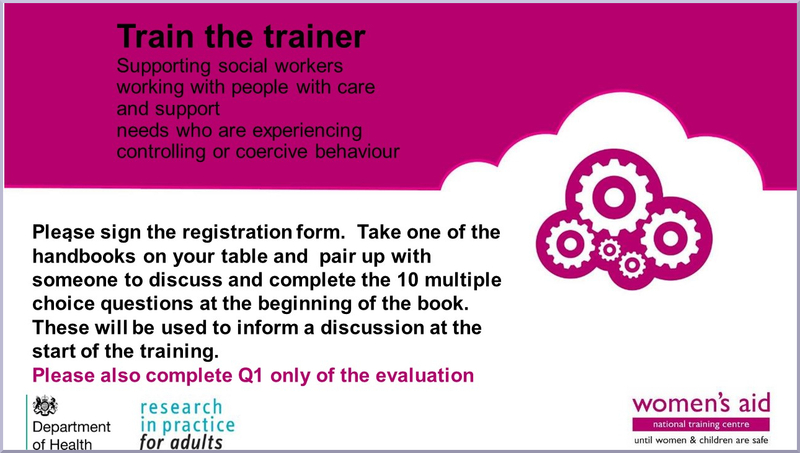 Below are materials to support trainers to deliver learning and development sessions on coercive control. These slides were used on our ‘Train the trainer’ course, and include notes. You can adapt them for use in your own programmes. 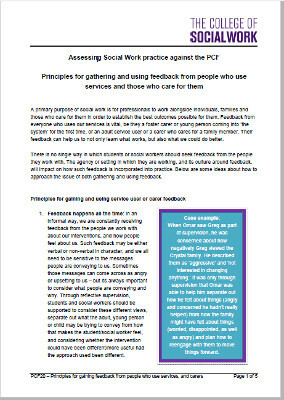 Principles for gathering and using feedback from people who use services and those who care for them. A primary purpose of social work is for professionals to work alongside individuals, families and those who care for them in order to establish the best outcomes possible for them. Feedback from everyone who uses our services is vital, be they a foster carer or young person coming into ‘the system’ for the first time, or an adult service user or a carer who cares for a family member. Their feedback can help us to not only learn what works, but also what we could do better. 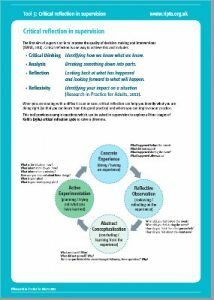 Critical reflection is an essential part of continuous learning and development. It allows you to turn experiences into learning that you can then use to improve your practice. Consider how you might use that learning to improve your practice. It is helpful to share your learning and ideas with others to gain support and to inspire them to consider their own practice. It is important to move from reflection into action so that learning you have gained from our experience can be transferred into your practice. Identify the factors that will support you to use learning in practice. 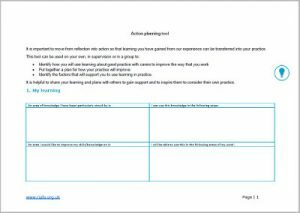 It is helpful to share your learning and plans with others to gain support and to inspire them to consider their own practice. 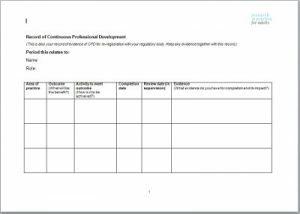 A template for recording your CPD plan and activities: this may also be your record of evidence of CPD for re-registration with your regulatory body. Use this audit tool to reflect on local strengths and areas for development in supporting people who have care and support needs and are experiencing domestic abuse. It is divided into practice and strategic level. Not all are SAB responsibilities, but each agency will have a part in contributing the different aspects of an effective response to domestic abuse of people with care needs, which relates to the SAB requirement to ensure that safeguarding arrangements are effective.